I’m 33 years old– 34 in a month (mark your calendars). Some days, I feel every day of it. And other times, 25 years seems like yesterday. On the morning of March 23, 1993, I woke up, had a waffle with cinnamon sugar (looking back, it’s amazing that my mom thought that was perfectly fine, but my favorite Frosted Flakes were deemed too high in sugar), and prepared to enter another day of the hell called third grade. Sitting on the couch in our eastern Cleveland suburb, Dan Patrick delivered the morning’s sports news. Baseball season was only a few weeks away: I had just started my first Little League practices as a second baseman and outfielder for the Pirates. 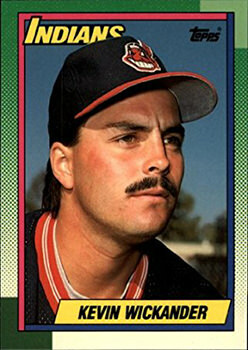 My Cleveland Indians were still in the middle of a lengthy rebuild. But on this day, they were the lead story. And then it became clear: Olin was one of the three. I only recall a few pieces here and there after that. Olin was killed instantly. Free agent signing Tim Crews died hours later from injuries sustained in the crash. Bobby Ojeda was alive, barely: hospitalized in critical condition from head injuries. At eight years old, I hadn’t experienced much death– only my 88-year old grandfather, an aunt who had cancer, and another aunt who was killed in a car/train accident (self inflicted, though I was too young to know it at the time). Death was something that only happened to the aged, the sick, the frail. It wasn’t supposed to happen to athletes in the middle of their careers. And yet, here it was right in front of me as this fan favorite, a submarine-tossing closer and a big piece of the future for the Tribe, was gone in an instant. Major League Baseball held a moment of silence at every ballpark. It was the first death of a player during a season since the 1979 plane crash that took the life of Thurman Munson in Northeast Ohio. The Indians wore a commemorative patch on their jerseys recognizing Olin and Crews. 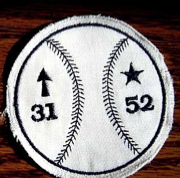 The Dodgers, the last team for whom Crews appeared in a game, also honored him with a sleeve emblem. The Indians had an off day on March 22. Tim Crews lived near the team’s Spring Training facility in Winter Haven and invited the players, coaches, and staff over. Many had already made plans with family, but three members– Olin, Ojeda, and strength coach Fernando Montes– went out. As they got ready to go out and hit the lake for some late fishing, the group realized they left a few items back up at the house. Plus Crews’ friend Perry Brigmond would be there any minute to head out with them. Montes lost the game of rock-paper-scissors, and off he went back to the house while the three pitchers launched the boat to take a couple laps around the lake. Minutes later, Montes returned with Brigmond. They flashed the lights of the truck they took, signaling Crews to come pick them up. An engine sputtering to a stop as an eerie silence overtook the scene. Voices came asking if they were alright. Moments later Montes and Brigmond were helping to pull three severely injured bodies from Little Lake Nellie. EMS arrived five minutes later. Ojeda, conscious the entire time but about to go into shock and ensuing kidney failure from a loss of two pints of blood, pleaded for them to help Olin and Crews first. He didn’t know Olin was already gone, killed on impact. Olin had always told his wife Patti that he wanted the Garth Brooks song “The Dance” played at his funeral. It was his favorite song, and the video for it showed people who died following their dreams. Steve was living his: baseball, a family, and a love of fast cars and fast boats. The deaths of Olin and Crews didn’t just affect their families. It heavily weighed on Ojeda, the lone survivor of the crash. It even derailed the career of another young pitcher who wasn’t even there that day. Bobby Ojeda was the lucky one, though luck seems to be a misnomer for someone who got the top of his head sheared off. Slouched just slightly in his seat on Crews’ boat, a half-inch was just enough to keep him from joining his teammates. It took months before he was even willing to throw a ball with his physical therapist, which took him just as long to visit. How many near-misses could a man have? Ojeda had already survived driving off a bridge on a mountain bike as a kid. He and his dad barely avoided shots from some crazy guy who just decided to fire off fifteen rounds at them in California– while they were on a boat, no less. And there was the time as a teenager that he tried to light a charcoal grill with gasoline and the can went up in flames in his hand. Or the time he was riding in a Corvette that managed to end up wrapped around a telephone pole. Or when an ambulance plowed through the trunk and into the back seat of another car he was riding in. Or when he sliced his finger off with hedge trimmers as a Mets pitcher. Or all the times he drove around his neighborhood on his Harley, still dressed in the suit he wore out from the ballpark. Meanwhile, Kevin Wickander wasn’t even at the party that day. He wanted to go, but had already told his wife and kids he would take them to Disney World. But Olin was his best friend through their years in the minors, the best man at his wedding, his chief competitor in the annual bullpen gum chewing contest: he was completely distraught by Olin’s death. The two had always been there for each other. But this was a time where Wick couldn’t be there for his friend. Wickander made sure the team kept Olin’s locker the exact way it had been before his death: obsessively so. A month into the season, the loss of his best friend still heavy in his mind, the Indians sent Wickander to the Cincinnati Reds, hoping to give him a new start. The big lefty never regained his form. After a couple of brief stints in Detroit and Milwaukee, including a 1995 season that turned a few heads, he was out of baseball. Having had drug and alcohol problems early in his career, and now dealing with the end of a baseball career and the loss of his best friend, Wick ended up back on drugs. In March of 1993, Kevin Wickander wore #53. Ten years later, he wore #170677. Turning to crime to feed an addiction to methamphetamine, he ended up on probation and was eventually arrested and sent to prison on theft-related charges. Released in 2005, he has been clean ever since and is believed to be living near Phoenix, avoiding the spotlight and reminders of his baseball career. He says his most prized possessions are his college baseball championship ring, his wedding ring, and a watch of Steve’s that his widow Patti gave to him at the funeral. Days before his final arrest in an odd moment of prescience, he gave them to his father to store for him. 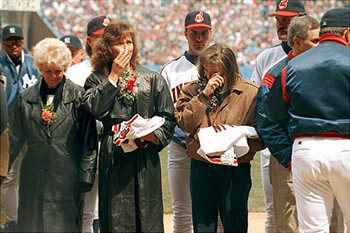 Even after losing his career, his wife, his home, three arrests, and a four-year prison sentence, he still says that March 22, 1993 was the worst day of his life. Then suddenly, no. Not like this. Not here, 7,000 miles from home. Not now. Bobby had been through hell multiple times-- accidents, near-death experiences, pain since age 12 in the arm that took him to the pinnacle of his sport. At 4 am it hit him: this was no time to give up, to let the fates decide when it was over. Not on anything but his terms. He spoke to the widows every day, offering any help they could use. No Bobby, there’s only one thing they needed: to see a return to the mound. The boating accident claimed two lives: damned if they would let it claim a third. In May, a quiet return to Cleveland for plastic surgery. No interviews, no reading newspapers. No updates. Weeks later, throwing for the first time since shoulder surgery. Not outside: in a hospital basement, surrounded by pipes, bricks, dust, dim lighting. June 25, a uniform and a media visit. July, a stay with psychologists in Baltimore. In August, a near-silent pregame activation from the Disabled List in order to avoid the potential crush of media trying to get their hooks into the season’s biggest comeback story. On August 7, a young pitcher named Julian Tavarez made his major league debut. After allowing five runs in three innings, manager Mike Hargrove went to the bullpen for a lefty. Bobby Ojeda made his return to the mound to a standing ovation from the Camden Yards crowd. 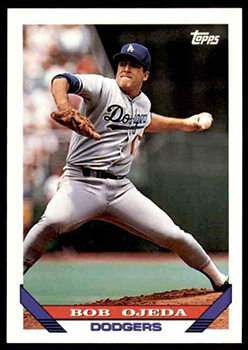 He would only pitch in nine games that season, then in two with the 1994 Yankees. But he had made it, truly surviving a gruesome accident that could have sapped anyone’s will to continue. For the next seven years, the Indians never had a day off during Spring Training, wanting to keep something like this from happening again. Two weeks after the accident, the Yankees crushed the Tribe 9-1 on Opening Day. They finished sixth of the seven AL East teams, going 76-86. Eric Plunk, Jeremy Hernandez, Derek Lilliquist, and Jerry DiPoto stepped into the roles vacated in the bullpen, but the Tribe still had the fourth worst ERA in the American League. 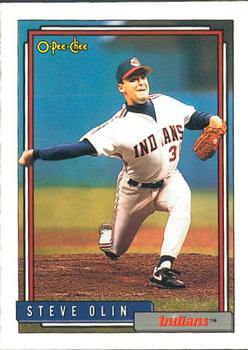 I went to four games that season, all of which the Indians lost: some bullpen help probably would have changed two of those. The team played their last game at Cleveland Municipal Stadium and prepared for a move to the new downtown ballpark in the Gateway neighborhood. 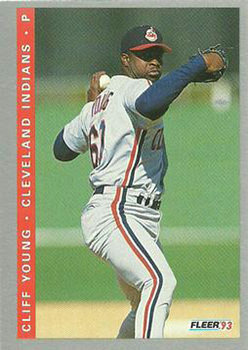 On November 4, a month after the conclusion of the 1993 season, one final tragedy: another young pitcher, Cliff Young, was killed in a car accident in his home state of Texas. Now, twenty-five years later, Ojeda refuses to talk about the accident. 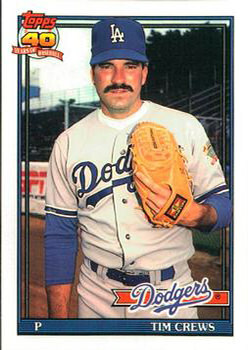 Twenty-five years later, Fernando Montes refuses to play rock-paper-scissors. Twenty-five years later, Patti Olin refuses to visit Little Lake Nellie. Patti went back to Oregon, remarried, divorced. Laurie crews still lives in Florida, still on the same ranch next to Little Lake Nellie. Other than John Farrell returning to it in his second Tribe stint, Crews’ 52 jersey went unworn until 1997. Aside from Dave Winfield taking it in 1995, no Indian wore Olin’s 31 until 2000. Since then, both have been worn in near-perpetual continuity. Nearly two and a half years after Olin and Crews’ deaths, a Jeff Huson pop-up landed in the glove of 2018 Hall of Fame inductee Jim Thome, and on September 8, 1995, the Cleveland Indians clinched their first playoff berth since 1954. As Kenny Lofton raised the Division Champions banner in center field, tears of happiness. “The Dance” played over the Jacobs Field speakers. ABOUT THE AUTHOR: Drew Pelto is a lifelong Cleveland Indians fan and tries not to think too much about how Game Seven of the 1997 World Series would have gone with Jose Mesa taking Hershiser's place in the rotation, and Ojeda, Crews and Olin pitching the final three innings. Nice article, and I'm surprised you remember it so vividly because I too remember this incident and you're 5 years younger than I am. And also because it's not a "memorable historical event" even for sports history. But it was the first time I can recall active players of any sport dying so it was shocking for me as 12-13-year-old kid.. So yea, I find it interesting that someone else remembers this tragedy as deeply as I do, especially someone 4-5 years younger than I am.. I just remember it as the day that even young people can die - at least that's the simple way I rationalized it. And you know, I'm almost 39 and I own a boat, I boat and I fish and all that good fun outdoor stuff - and I don't mean to speak ill of the dead but these "kids" (Olin, Crews and Ojeda) made a terrible mistake, very reckless to say the least... And I'm sorry to say but these are the type you gotta look out for when you're boating... I know in their minds they weren't trying to hurt anyone, they were young and just trying to have fun, but their inexperience and overconfidence cost them their lives and they could have hurt others.. So growing up basically in a boat and on the water and growing into an adult that now owns a boat and is still on the water - it really taught me the value of boat safety ... No one had to tell me why I should practice safety because this boating accident has always been so vivid in my mind.. I don't know if it matters but - I'm not an uptight boater - I mean boats are supposed to be fun and I know how to have fun, but you have to know your environment and the boat you're driving.... It's fine to go out and shred and bump wakes and all that - but only do it when it's safe to do so, not when you're confident you can..